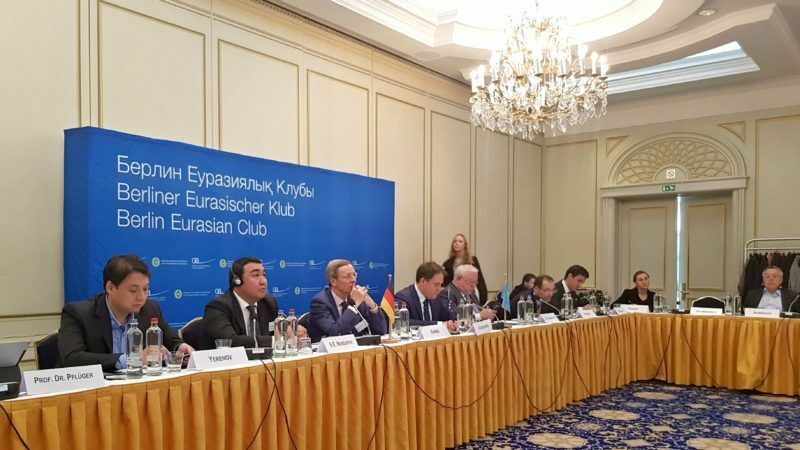 Luc Devigne, deputy managing director for Europe and Central Asia in the European External Action Service (EEAS), spoke at a conference dedicated to EU-Kazakhstan relations, organised by the Berlin Eurasian Club, a dialogue platform initiated in 2012 by the President of Kazakhstan Nursultan Nazarbayev and the former long-serving German Foreign Minister Hans Dietrich Genscher. De Vigne said that the EU’s relationship with Central Asia in general and Kazakhstan in particular “has never been any stronger or any better”. He said that the EU and Kazakhstan shared many common objectives, starting with regional peace and stability, fighting terrorism, fostering the rule of law and increasing prosperity and trade. As the conference focused on the “Enhanced Partnership and Cooperation Agreement” between Kazakhstan and the EU (EPCA), De Vigne, who has led the EU’s effort to conclude this 150-page agreement, said that both sides could be proud of the results. This new agreement, the provisional application of which started on 1 May 2016, is the first of its kind signed by the EU with one of its Central Asian partners. It is described as WTO-Plus, as in essence, its chapter on government procurement mirrors the equivalent WTO chapter (GPA). 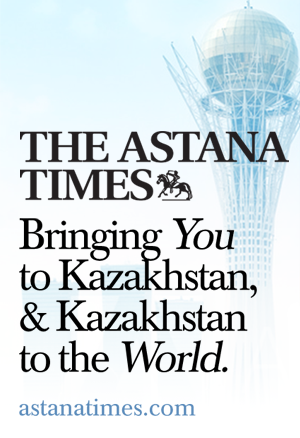 “Kazakhstan has indeed become a key economic but also political partner of the European Union. Obviously the country is the largest economy in Central Asia and we are very happy that it is back to growth,” De Vigne said. Kazakhstan is a big oil producer. Despite the fall in oil prices in 2015, the country’s economy stayed on a strong footing. The EU is the largest investor in Kazakhstan, with a total of $10.8 billion of foreign direct investment (FDI), almost 50% of the total FDI to the country. From 2005 to 2016 Kazakhstan attracted a total of $263.58 billion in FDI, of which $119.9 from the EU (45.5%). 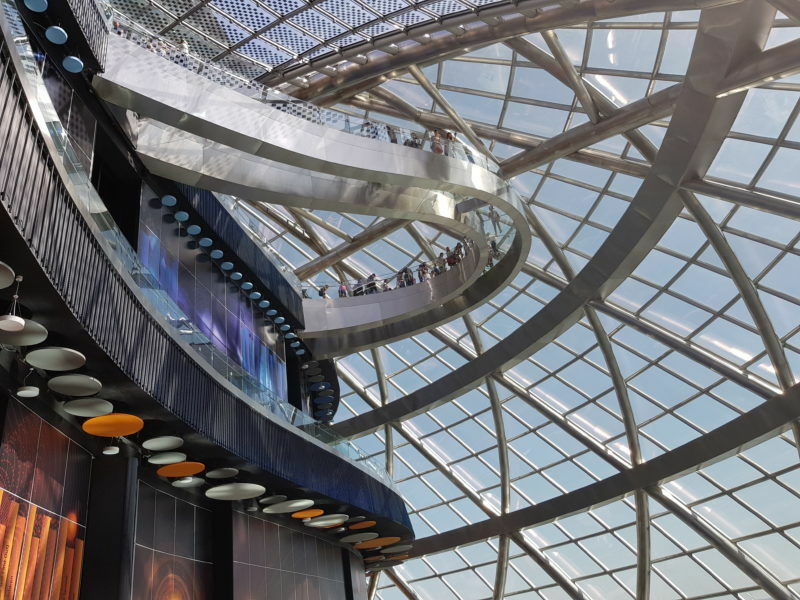 De Vigne said there was “a growing confidence from commercial actors in the strong economy of Kazakhstan” and also in the country’s further reforms. The country is engaged in a big modernisation effort, with the aim of joining the world’s top 30 most developed countries by 2050. Ask the average European what the world’s biggest landlocked country is, or was the last to leave the Soviet Union, and chances are they will not know it’s Kazakhstan. De Vigne said the Commission believed that these reforms will enforce the country’s strength. He said that the EU appreciated the commitment by Kazakhstan to promote a green economy. 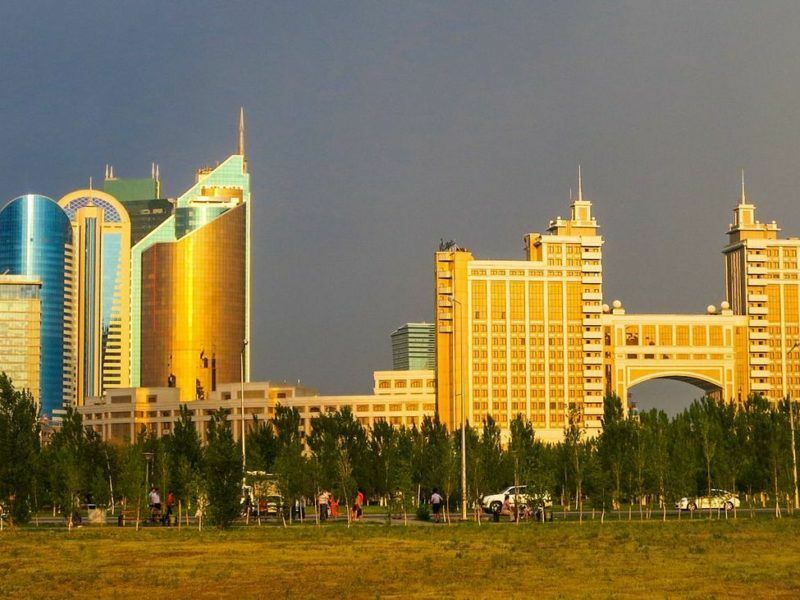 The country’s capital Astana hosted EXPO 2017, dedicated to the theme of “Future energy”. Kazakhstan is extremely rich in fossil fuels. But the country has not only subscribed to the Paris agreement, it is making it a priority to change its patterns of energy consumption. Experts consider that Kazakhstan has a huge potential in developing wind and solar energy. In the field of regional cooperation programmes in regional cooperation, De Vigne said the EU was “very glad” that Kazakhstan was committed to a conflict-free, stable and prosperous Central Asia region and that it had become very active in the regional integration agenda. He also said that EPCA put strong emphasis on democracy and the rule of law, human right, fundamental freedoms as well as civil society cooperation including on the involvement of civil society in public policy making, notably in the implementation of the agreement itself. Kazakhstan says it appreciates criticism in the field of human rights, when it is “constructive”. Kazakhstan is one of the founding members of the Eurasian Economic Union, with Russia and Belarus. Russia has been pushing to develop the Eurasian Economic Union as an entity on a par with the European Union. For its part, Kazakhstan has had a more pragmatic approach. “I think it’s an issue of mentality. Some in Russia see the partnerships that we have offered to countries as something hostile. We don’t see it that way, I don’t think any other member state sees it that way, certainly not Germany.” Many of the speakers at the conference represented German business circles. “And of course Kazakhstan is a victim of sanctions. Transit to Ukraine is blocked by Russia,” the Commission representative said. Indeed, Kazakhstan is negatively affected by the sanctions, and as one of the speakers said, the country could supply Ukraine with coal, which needs the commodity since it cannot control the Donbas region, but it is prevented from doing so, as the trains need to pass through Russian territory. De Vigne also explained why the EU was not in a hurry to have an agreement with the Eurasian Economic Union. “I wish Kazakhstan could export its model of keeping good relations with everybody in the Eurasian union. For us there is no difficulty having relations with the Eurasian union. What we don’t have is have is a structural or a legal framework, for a number of reasons, the most important being political, but there are also more fundamental economic reasons. The whole point is: you make agreements to facilitate things, not to complicate them. And in the Eurasian Economic Union we see contradictions, we see that trade among its members has been down since its creation,” De Vigne said. 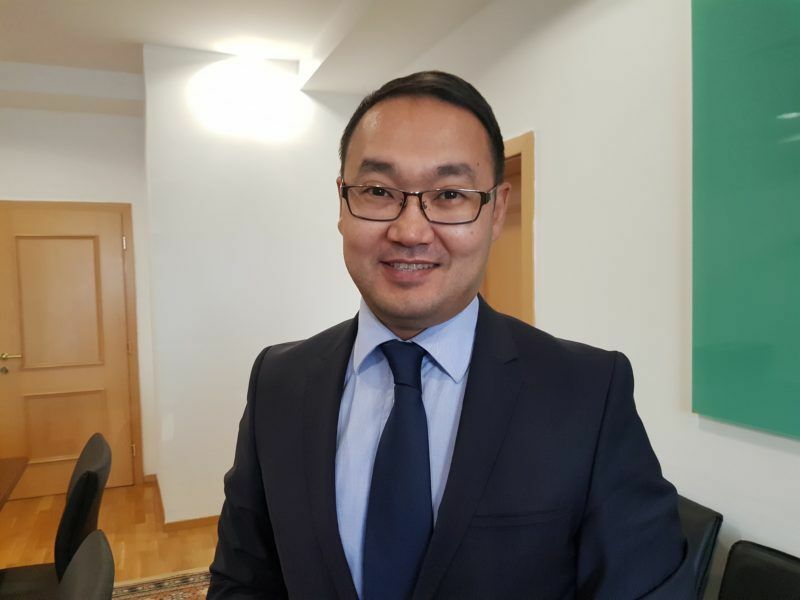 Roman Vassilenko, deputy minister of Kazakhstan, said that when his country chaired the Eurasian union last year, Astana’s priority was to expand the dialogue with partners, including primarily the EU. He said that the Kazakh presidency didn’t succeed in launching the dialogue properly, because of “political difficulties” (the Ukraine crisis), but nevertheless there was a decision by the Eurasian economic community to launch a dialogue on technical matters. “We will continue to seek such technical dialogue between the Eurasian union and the EU”, Vassilenko said. Michael Harms, managing director of the German Committee on Eastern European Economic Relations, who chaired the conference, said that the business side strongly supported such a dialogue starting these technical matters. Technical and customs regulation “can sound a bit boring”, he said, but were very important for the economic actors, not only for Germany and Kazakhstan, but for the EU and for Central Asia, he stressed. De Vigne also spoke of the role Kazakhstan could have for the political and economic opening-up of Uzbekistan, with spectacular measures such as stopping the forced convertibility of currencies, which has been a huge problem for EU companies. Reportedly, until recently foreign businessmen in Uzbekistan were obliged to sell all their foreign currency revenues at Central Bank rates — which are markedly lower than those on the black market. Uzbekistan has long been a pariah country. But in September last year Uzbekistan’s leader Islam Karimov died and his successor Shavkat Mirziyoyev is pursuing a less autocratic path, seeking to reform and liberalise the country. 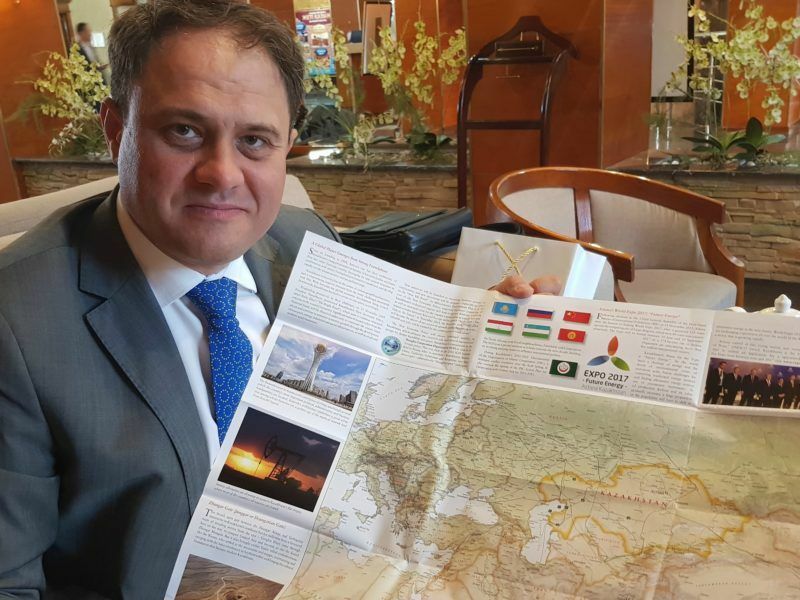 Roman Vassilenko said that “winds of change are blowing in Central Asia” and that there was a new-found desire to solve the issues accumulated over the last 25 years. “If that consolidates, this could be the foundation of a much better regional integration,” De Vigne said. More exchanges of views will follow with the EU-Central Asia ministerial meeting, which will be held in Samarkand on 10 November. This will be the opportunity for EU High Representative Federica Mogherini to meet all five Central Asian foreign ministers (Kazakhstan, Uzbekistan, Turkmenistan, Kyrgyzstan, and Tajikistan).